Your workout queue acts just like a music playlist. It's flexible, powerful and automatically sets your recommended calories to match each week of your plan based on your fitness goals. See My Calories tab for more details. Think of your Workout Queue like a music playlist. You simply queue up what you want in the order you want it. Spend less time planning and more time enjoying your training. Your workout queue has no limits, you can plan ahead as far as you see fit, adding weeks or months of awesome training to look forward too. As you add workouts or ready made plans to your queue you can decide to queue them next up or to the end of your queue. 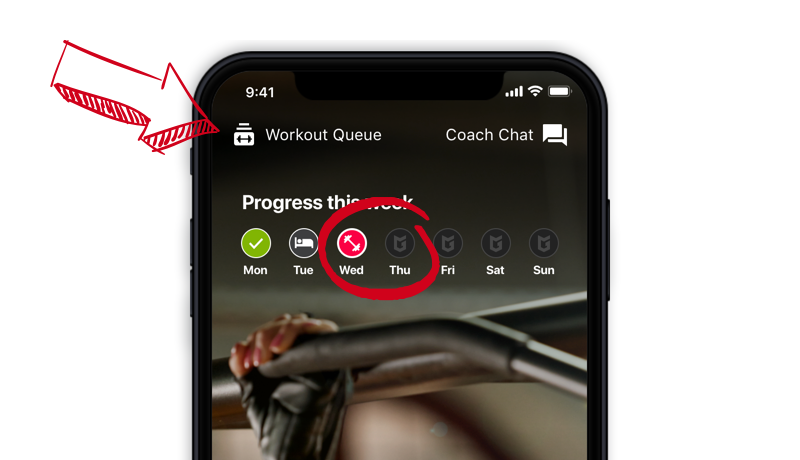 Each day you login to the app you'll be automatically given the next workout from your queue. Simply tap the Workout Queue button at the top of your main Workout tab. Or tap the red workout icon. This is the next workout to complete. 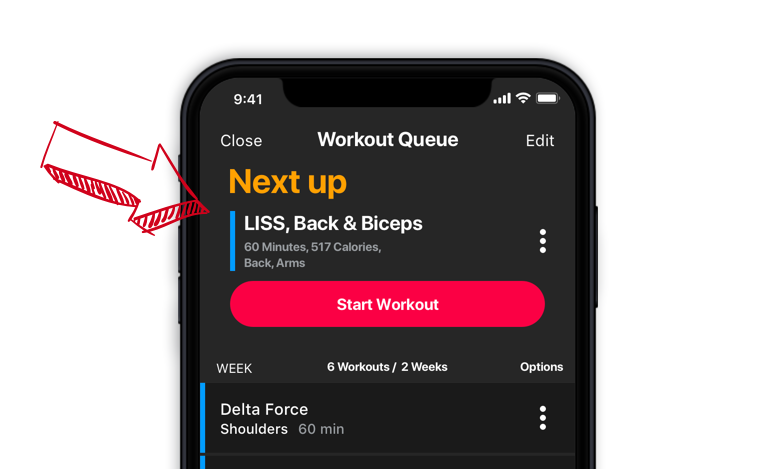 It will be automatically sent from your queue to your main workout screen so you can start working out as soon as you open the app. Super simple. Learn more about the options available with your Workout Queue. Read the Workout Queue FAQ.